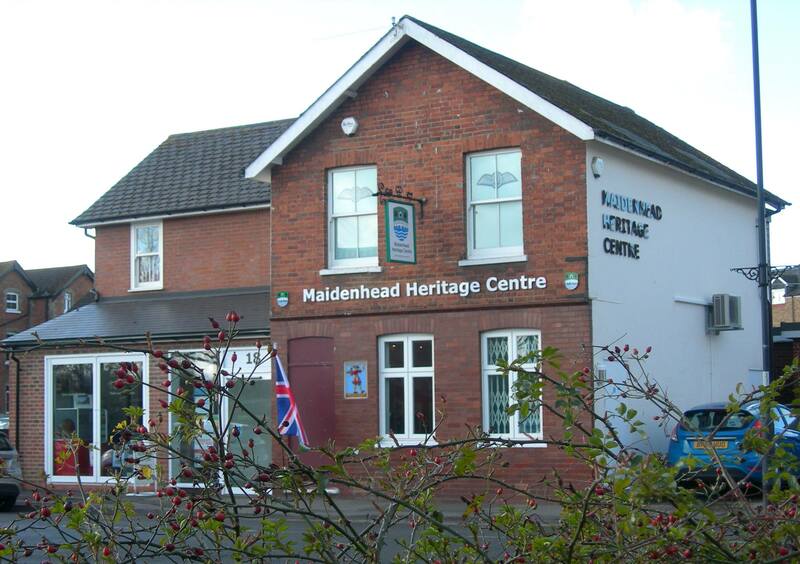 Maidenhead Heritage Centre, described by one visitor as “a little gem”, is just the place to explore this town’s history, which stretches from before the Romans to Vanwall racing cars, aeroplanes, Hammer Horror films and scandals at Cliveden. The town grew up when the first bridge was built across the Thames in 1250 and became a Victorian boom town when the Great Western Railway opened. A brand new Stone Age display has just been installed alongside our Roman skeleton, buried near Bray about 1600 years ago! Our permanent “Story of Maidenhead” exhibition is being improved all the time and is supplemented by temporary exhibitions. Our current exhibition “Maidenhead from the Air” gives a fascinating glimpse into Maidenhead’s changing townscape, with photographs from the 1920s to the present day. 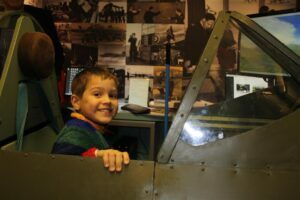 On the first floor of the museum is Grandma Flew Spitfires, our Exhibition and Archive dedicated to Air Transport Auxiliary, with its fabulous Spitfire simulator (admission charge applies). The simulator has just had a major upgrade and is now better than ever. 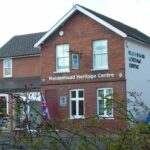 Opening hours are 10am to 4pm, Tuesdays to Saturdays. For just £7.50 per 15 minutes flying (including instruction) you can climb into our Spitfire simulator, take off from White Waltham, loop-the-loop over Windsor Castle and even land at Heathrow. Or fly around the Isle of Wight from Bournemouth airport. The Spitfire simulator is part of our Grandma Flew Spitfires exhibition, where you can discover the forgotten story of the Air Transport Auxiliary, a civilian wartime air force whose headquarters was 2 miles away at White Waltham. With a state of the art Spitfire Simulator there is no better way to experience this unique story in our national history. Flights include instruction and cost just £7.50 per 15 minutes, plus entry charge to the exhibition (£3.50 adults, £2 children aged 11-16, 10 and under Free – with GIFT AID tickets are valid for return visits within 12 months). For just £20 enjoy 30 minutes flying (including instruction) and entry to the exhibition for the ‘pilot’ and two companions. Perfect gifts for birthdays and special occasions, our vouchers have no expiry allowing you to plan your trip at leisure. Flights are available from 10.20am to 3.40pm, Tuesdays to Saturdays. The simulator is recommended for ‘pilots’ aged 9 or over – the oldest person to fly it was 94! Younger pilots may like to fly with assistance from an adult.